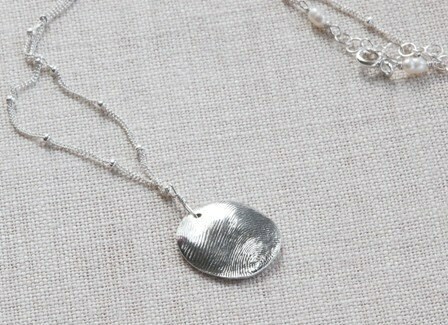 The perfect gift for the child going off to school....this is a 18 year-old's print in fine silver clay. Because it is an older child the print came out especially nice! Children younger then 3 often have faint lines in their thumbs. 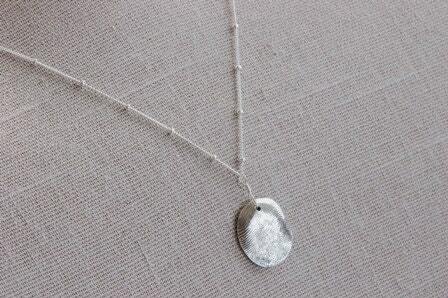 Sterling silver chain included 16 inches adjustable to 17 inches. I haven't received the piece yet but Susan is a joy to work with! Very responsive and super quick! My experience has been great! I love this necklace, and so does my mother. She gets a lot of compliments and then says "it's my daughter's thumbprint" which impresses her friends ;) The service was great too... 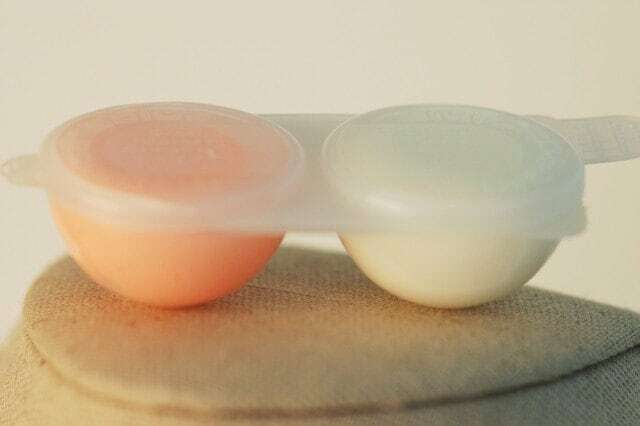 I received the mold quickly with instructions that were easy to follow. And I received the finished necklace soon after that. I highly recommend this product! 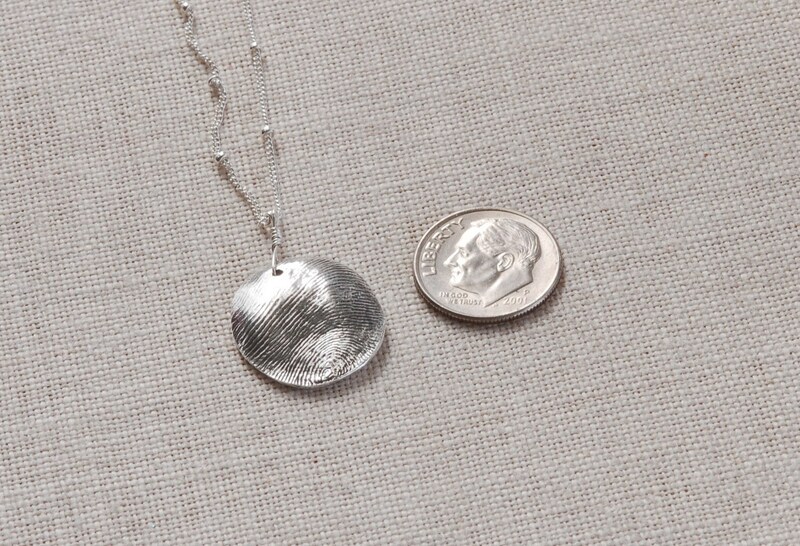 I recently ordered a thumbprint necklace and I was extremely pleased with this purchase. I have a beautiful thumbprint of my 1 year old son. Throughout the buying process, I had open communication with the owner of this shop and I would recommend this to anyone. I will absolutely be ordering more from this shop!! It turned out EXACTLY the way I wanted it to! And charmedjewelry was so accommodating and went out of her way to make things as seamless as possible. When I received the necklace in the mail it was beautifully packaged! Thank you so much!